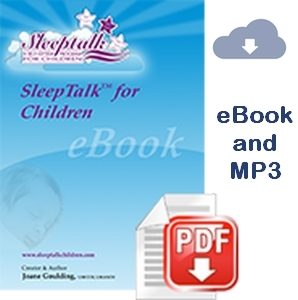 This short eBook, which is available for immediate download, explains how parents apply the basic (Level 1) Goulding SleepTalk® for Children Process with directions that are easy to understand. It is quick to do as it takes just 2 minute each night while the child sleeps. It creates changes which can last a life time and is simply about talking to your child while they sleep. 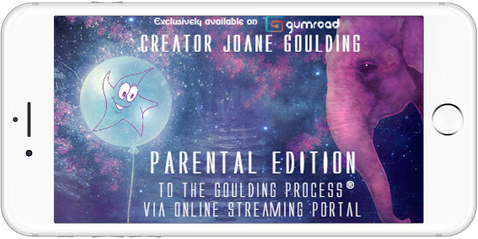 This process is for all parents who want their child or children to succeed, whatever their potential. It is for children having difficulties and children who have no issues. 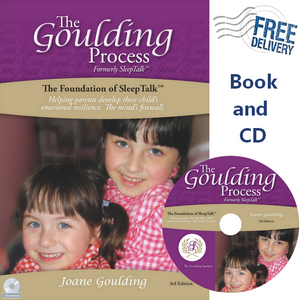 The SleepTalk® Process developed by Joane Goulding is a safe, inexpensive, ethical and loving process, assisting with issues such as developing emotional resilience, bedwetting, sibling rivalry, reducing tantrums or dealing with separation anxiety. It helps the child to awaken in the morning, remaining calm and happy, ready to deal with their world in a confident and self-assured manner. 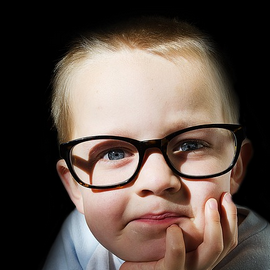 If you can tell your child, “Your attitude in life will be wonderful and happy” – and make it happen, would you not call it a miracle?